Something to look forward to: Are you excited about foldable phones? 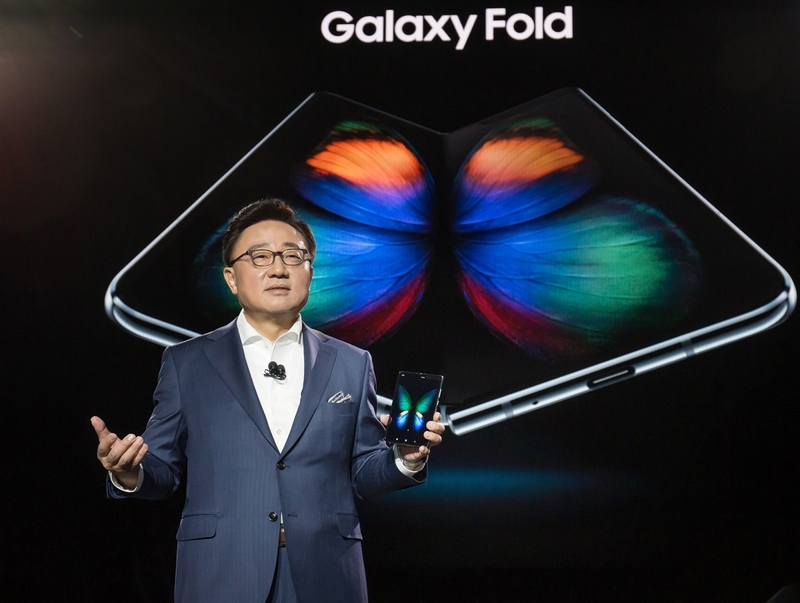 If so, then you’ll probably know all about Samsung’s first entry in the market: the Galaxy Fold. Today’s the day that you can reserve a pre-order for one of the devices, which arrive in the US on April 26. You can reserve your pre-order, which start on April 15, on the Galaxy Fold website. Don’t worry if you’re not 100 percent certain about spending $1,980 on an unconventional phone: making a reservation doesn’t mean you’re committed to buying one. For those who don’t know, the Galaxy Fold has a 4.6-inch AMOLED display (21:9) on the outside and opens like a book to expose the 7.3-inch AMOLED Infinity Flex Display with a QXGA+ resolution (4.2:3). It comes with 12GB of LPDDR4x RAM, 512GB of local storage (UFS 3.0), and boasts six cameras—three on the back, two on the inside and one on the front. The Fold launches in the US on April 26th in select AT&T, T-Mobile, Best Buy, and Samsung Experience Stores, and will be available in Cosmo Black, Space Silver, Astro Blue, and Martian Green. With supplies said to be limited, those desperate to secure one on launch date would be wise to pre-order. The device will also be available online from T-Mobile on April 25th. Buying a Fold from the carrier comes with some perks, including a pair of Galaxy Buds and a carbon fiber case. "The new Galaxy Fold also connects to T-Mobile’s 600 MHz Extended Range LTE to give customers even better coverage than before in buildings and rural areas," the company explains. Those more excited by Samsung’s Galaxy S10 5G, which is already available in Korea, will have to wait until May for it to arrive in the US. No official word on when pre-orders for that phone will begin, but rumors say they will go live next week.